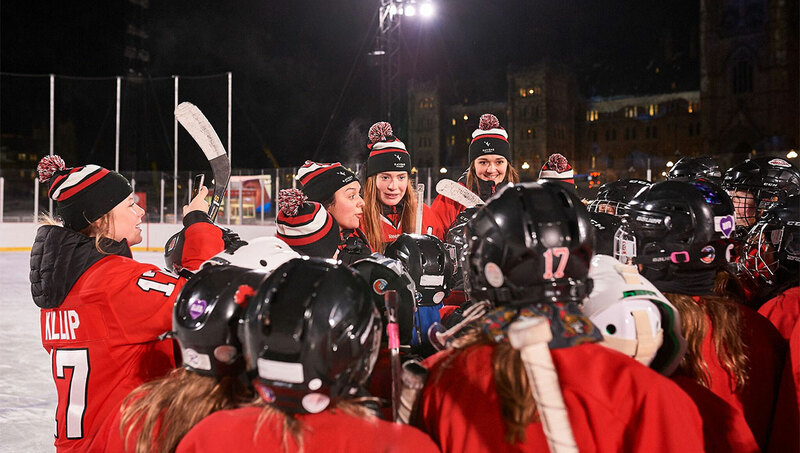 At 6 p.m. on February 2, 2018, when the referee tossed the ball and play began between the Carleton Ravens women’s basketball team and arch rivals, the Ottawa Gee-Gees, groups of die-hard fans were dotted about the 18,000-seat Canadian Tire Centre. 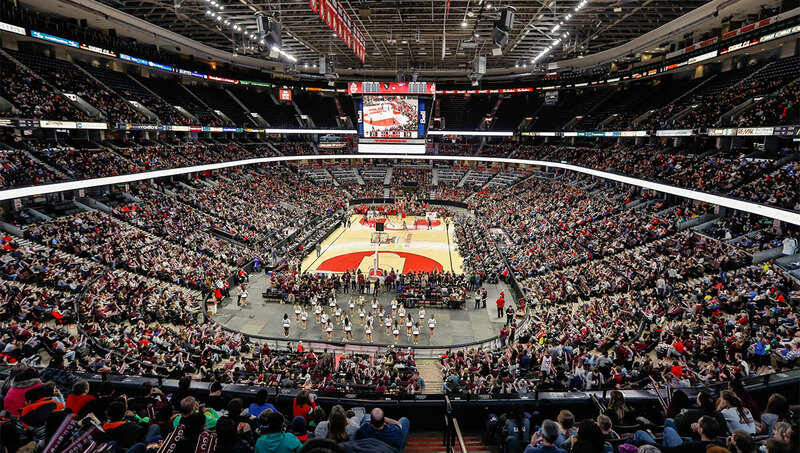 It was the night of the Capital Hoops Classic, a major fixture on Carleton’s calendar, and an invitation to feel the pride, wear your colours (black and red, if you wanted to be on the winning side), and have some fun. More than 8,500 tickets had been sold for the double header— women at 6 p.m., men at 8 p.m. as usual — but by game time, just a couple hundred spectators had arrived. After a fast start for the Ravens, the play tightened up. The women pounded up and down the court while spectators trickled in. As the Ravens made decisive gains in the final quarter, the seats in the lowest tier were filling up, and by the time the game ended with a score of 57-41, the Ravens clocking their 19th win of the season—and breaking the record for the most inter-conference wins in a row for women’s basketball—a party atmosphere was fizzing in the stands. The women came off the court, spent a few minutes with fans and photographers, and left for the change rooms. The spectators kept arriving. At 8 p.m., the men took their places, the ball went up, and 8,500 fans cheered. The women’s warm-up act was over, and the real event of the night had begun. Clearly at least one newsroom felt that way. When the women’s team opened up one of the city’s newspapers the next morning, there was a full-page spread on the men’s program and the men’s team at Capital Hoops. So she sent out a tweet, tagging the newspaper. While she didn’t hear back from the paper, she got a lot of supportive comments, and Sportsnet picked up on the story. But it isn’t just a setback. This is the way it is. Women’s teams and women athletes can show a lot of guts, but they rarely get the glory. When the women’s team won their first national championship just weeks later, and the men’s took bronze, some media outlets were still placing the men’s story more prominently. The degree and extent to which sports remains a man’s world in Western society goes unnoticed because it feels so normal. Catch the news on the radio or television: the sportscast at the end will likely be narrated by a man, a male sports editor will have chosen what’s newsworthy, and the talk will be about male athletes, male teams and male competitions. Weekend television and the specialty sports networks show the same. The sports pages in newspapers and webpages on news sites? Overwhelmingly male, with ads targeted at men to match. Same again for the many websites devoted to analyzing, critiquing and discussing different sports and segments of sport. This is what Canadian sports media looks like when just four per cent of televised coverage and 5.3 per cent of print coverage deal with women’s sports, as the Canadian Association for the Advancement of Women and Sports and Physical Activity (CAAWS) noted in a 2014 report in —and over half of that four per cent was devoted to women’s tennis and coverage of the Winter Olympics. It feels normal because it has always been this way. It feels normal until you notice the daily absence of athletes who are women, and then the absence of women can begin to feel strange. It’s easy to find another interpretation. Read an online article analyzing the lack of coverage of women’s events and you’ll find comments like: “if the quality was there, then spectators would come” or “the women’s game isn’t as exciting to watch” and “there are physiological differences that make men better athletes.” These sentiments are shared, all too often, by men who control promotion and sponsorship dollars. 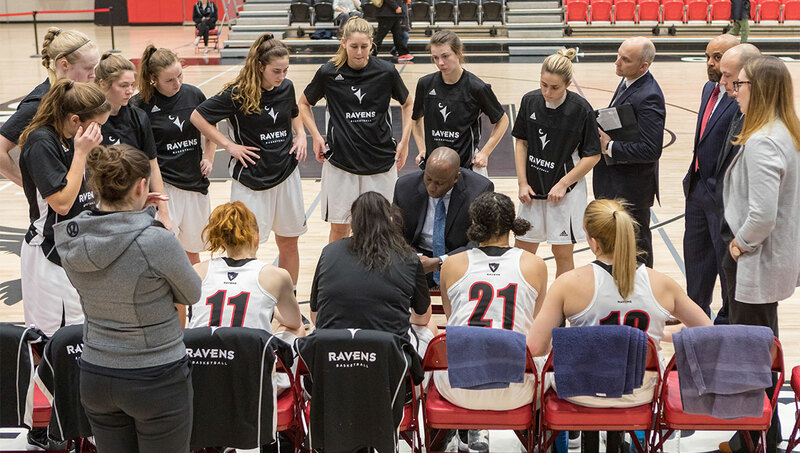 But for Taffe Charles, the women Ravens’ basketball coach—as well as for the many fans of the WNBA and women’s NCAA basketball teams in the United States — that doesn’t mean the women’s game is a lesser product. “The pace, the hard hits, the hard tackles, whatever aspect is valued in men’s sports may not translate to women’s sports,” says Sandmeyer-Graves. “But women’s sports bring other things in terms of strategy, finesse and tactics that are awesome; they may just not be as apparent to the casual observer or to someone who’s been conditioned to think that it’s all about the dunks and the hits. The “not as good” and “not as interesting” charges directed at women’s sports begin to crack in the face of audience numbers for mega events like the women’s hockey final at any of the last four Winter Olympics or the 2015 FIFA Women’s World Cup, which set new records for soccer viewership in the U.S. and Canada. Sports media is dominated by men. American figures suggest — and Canadian figures are believed to match them — that men comprise about 90 per cent of editors and assistant editors and 87 per cent of columnists and reporters. In televised sports news, about 95 per cent of anchors, co-anchors and analysts are men. Countless academic studies have examined how female athletes are represented in sports media. One of the most interesting and eye-opening started in 1987 at the University of Southern California: at five-year intervals, researchers have compared and evaluated televised media coverage of men’s and women’s sports. From 1989 to 2003, they found that sports commentary about female athletes tended to be openly sexist and denigrating. From 2004, “ambivalent” depictions began to be the norm, whereby female athletes were recognized for their achievements, but presented as wives, mothers or girlfriends. Commentators would announce women’s events in a monotone, then speak quickly and loudly, using flashy, descriptive words and action verbs like attacked, swarmed and exploded to present the men’s exploits. NCAA swimmer Missy Franklin broke three records one day in the 200-yard freestyle and got the flat observation that she was “way ahead.” Elsewhere, the Philadelphia 76ers were having one of the worst seasons in NBA history but “commentators’ vocal intonations and jokes turned a less than inspiring game into an interesting one”— in other words, one worth watching. Dedicated athletes are strong, determined and focused. Yet a large body of research shows only male athletes are consistently portrayed that way in images. Female athletes are, more often, posed, passive or looking tearful, or are out of their sports clothes and clad in fashionable outfits, emphasizing femininity over their athleticism. In other images, they may become sexual objects, clad in not much at all. 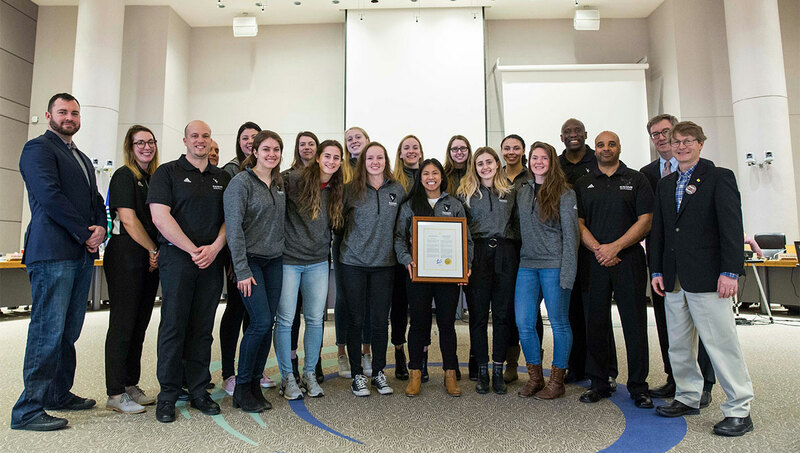 Here’s an all-too familiar story: The women’s swim team at the University of Toronto won the national championships and the men’s team didn’t. The student newspaper covered the men and not the women. The principal difference between this story and the ones about the Ravens women’s basketball team? It happened in 1980, 38 years ago. The swimmer who complained was Nancy Lee, who started with CBC Sports in 1987 as the network’s first full-time national female sports reporter at CBC Radio and was the first female executive director of CBC-TV Sports from 2000 to 2006. Lee credits her early experience on the swim team for her inclusive approach to sports programming. Lee has had a long time to assess media bias. Her conclusion? Lack of awareness. Asked to make a presentation on women’s sport coverage to the Press Committee of the International Olympic Committee a few years back, Lee decided to look at the competition schedules from the Sochi and Vancouver Winter Olympics. The final day at Pyeongchang this year featured the women’s curling gold medal game and 30-kilometre mass start cross-country ski event. If the primary problem is a pervasive lack of awareness, then the solution is comparatively easy, and it can applied at every level where bias and inequity appear—including the local level. For Lee, the absence of any mention of the Ravens women at the Capital Hoops game in the city newspaper is an opportunity. “I commend the student, Heather Lindsay, for taking action. Consumers need to speak up when there’s something wrong and if enough people do that, then media outlets will start to pay attention. Everyone needs to be mindful, Lee says. “When I speak to sports organizations about gender equity, I ask them: ‘Before you go to that newspaper or media organization, what are you doing yourself?’ Lee advises they do a content analysis of their own communications, including their website, promotional videos and brochures, to check whether women and men are being treated equally, and then create a gender-balance style guide setting out how both genders should be depicted. 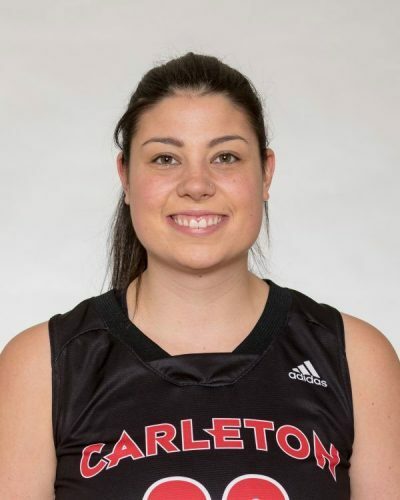 “Promoting women in sport is a priority at Carleton, where we highlight our women’s accomplishments on the goravens.ca website, through social media and posters around campus,” says Jennifer Brenning, assistant vice-president (Recreation and Athletics). 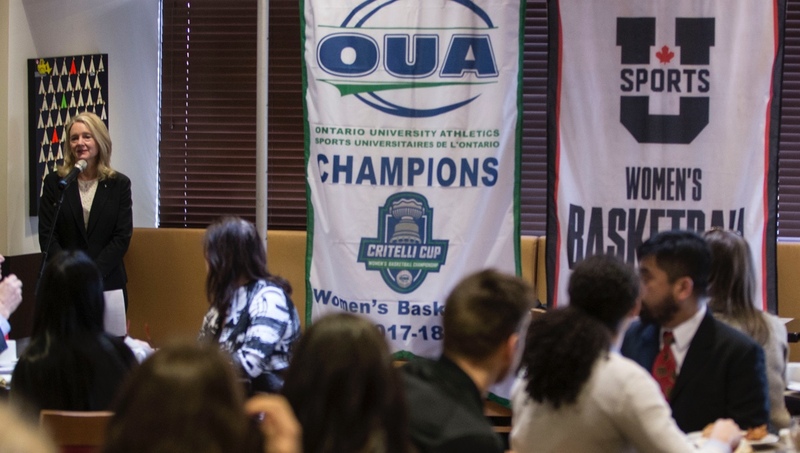 The university also plans a series of stories to profile some of its outstanding women athletes and looks for opportunities to include them in publicity campaigns. It’s a missed opportunity for media outlets, says Lee. For CAAWS’ Sandmeyer-Graves, equity provides a valuable guideline for making changes. She suggests looking at different or more marketing, or, similar to the rescheduling of women’s events at the Winter Olympics to increase exposure, changing the order of basketball games so that the men play at 6 p.m. and the women at 8 p.m.
A different marketing strategy that many women’s sporting events have adopted is to appeal to families, according to Lebel. She notes that women’s sports events tend to have lower ticket prices, making it more economical for families to bring their children. Lee has been busy co-ordinating a major initiative for the International Olympic Committee that’s a potential game-changer for women’s sports: the IOC Gender Equality Review Project. The entire review, released in April, contains 25 recommendations and 80 detailed actions. One idea for change discussed by leaders in women’s sport – pressing for a measurable increase in how much media content is directed to women’s sports. 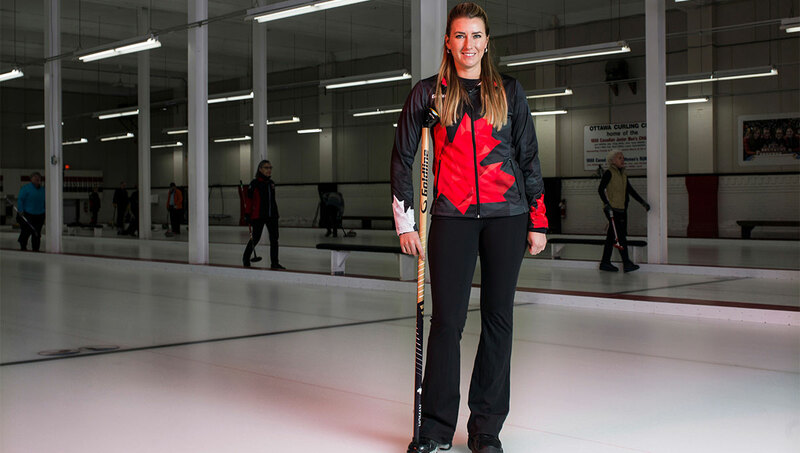 “It would be a way of enforcing that, in this day and age, if you are a sports broadcaster, you have to start moving toward equity in your programming,” says Marion Lay, a former Olympian who has been advocating for women’s sports since 1972 when she set up a women and sport program at the federal agency for sports. As long as media coverage limits interest in women’s sport, viewership numbers, ticket sales, salaries, sponsorships and advertising—resources that athletes and organizations need for growth—will suffer. Lay, from her nearly 50 years in the trenches, is optimistic.